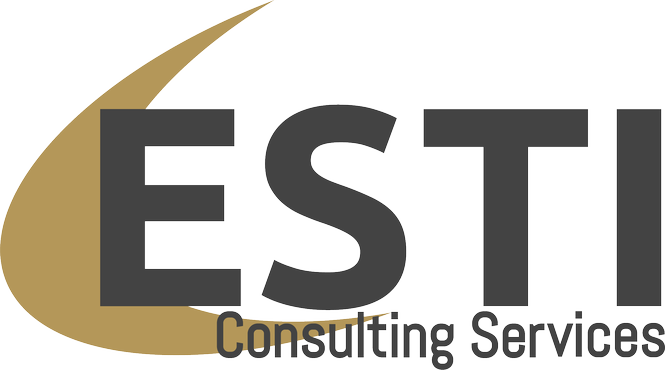 Copyright © 2019, ESTI Consulting Services (Copyright © 2019, ESTI). All rights reserved. All text, logos, graphics, animation, videos, music, sounds, and other materials on this website ("site") are subject to the copyrights and other intellectual property rights of ESTI, its affiliated companies, and its licensors. ESTI owns the copyrights in the selection, coordination, and arrangement of the materials on this site. These materials may not be copied for commercial use or distribution, nor may these materials be modified or reposted to other sites without the expressed prior written consent of ESTI.